Audio and video conferencing can be great ways to connect with your customers without the need for them to travel to you, or you to travel to them. This is a solution that can save both time and money. However, oftentimes technical difficulties make audio conferencing more frustrating than it should be. A little know how, combined with some proper planning, can make your audio conferencing go better than it ever has. Nothing is worse than audio issues with an audio conference. It is your only way to communicate, and losing the audio or having it malfunction can cost you a customer. One frequent complaint in audio conferences is clarity and volume. Both of these issues can be partially solved at least by having a good microphone. For an audio conference, this should be a multi-directional microphone that collects clear, digital sound. If you have more than one person in the room and you are spread out, you might need more than one mic. In this case, ensure that only one person at a time is talking, so you don’t overwhelm your software and your customer. Remember, a good microphone means good sound. A mediocre mic gathers mediocre sound. You get what you pay for, so don’t skimp on this equipment, especially if you are going to do a lot of audio conferencing. You can’t correct what you sound like if you don’t know what you sound like, so you need to have good monitors, just like you would for a speech or a concert. On the flip side, you will also want to know what the person on the other end sounds like, and even work to correct their sound if possible. READ MORE>>> How the material of speakers can affect the sound? The best type of monitor for audio conferencing is a good pair of headphones. Just in case your sound or the sound on the other end is weak, you might want to have a headphone amp that you can plug into your monitor headphones or even your speaker system to increase the volume and clarity of the people speaking. Good monitors are the first key to correcting any sound issues on either end, helping with the proper setup of your audio conferencing from the start. The best monitors and mics don’t do a thing for you if you are in a room with poor acoustics. 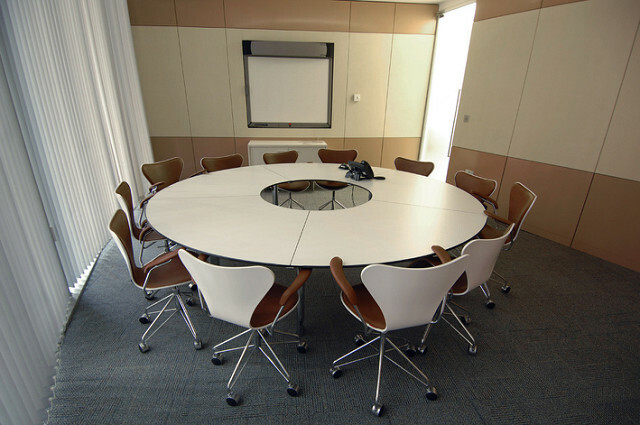 Certain large conference rooms, although spacious, tend to have an echo in them it is hard to correct for. This is often mitigated by people in the room, but looking into acoustic panels to better set up the room are a good idea. Sometimes a smaller room is a better idea, even if your team has to crowd together if you can get the acoustics better. Good sound is key to being both heard and understood, and there is no software in the world and no microphone that can totally compensate for a poorly laid out room. Speak slowly and clearly, one person at a time. Listen for a natural break in the other side’s conversation, and even ask if they are done speaking before you start. Better to be clear that to be talking over one another. Sit close to the mic, and move it as necessary, so it works for everyone. Have someone with headphones monitoring and transcribing the conversation. That way if you need to look back at something, you can. A good room will save you a lot of headache, and if you can’t get one, try to manage the one you have the best that you can. If you are going to do an audio conference, make sure you have a good, well connected phone line or a good voice over internet protocol (VoIP) system that will deliver reliable speed and sound. The best microphone, the best room, and the best monitors can’t make up for a poor connection. If possible, conduct these calls over Ethernet rather than Wi-Fi to prevent interruptions and other common problems. If you are using a phone line, be sure to test the line and the phone system first, and make sure they are going to work for you, and that the sound quality will be good enough for you to hear. If the system does not pass the test, switch to another one, or opt for an Internet call instead. The key to the entire process of an audio conference is a good setup. This includes all of the elements above, extensive testing, and even software that lets you edit audio on the fly to make it better. For simple audio conferencing, this might be unessential, but if you do audio conferences often, and if they are a vital part of your business, getting the setup right can be a key to sales, customer satisfaction, and saving money on travel. This can be a great way to connect with your customer, and them with you. Just make sure if you are going to audio conference, that you do it right, and have everything you need.